around Headley and Arford . . . 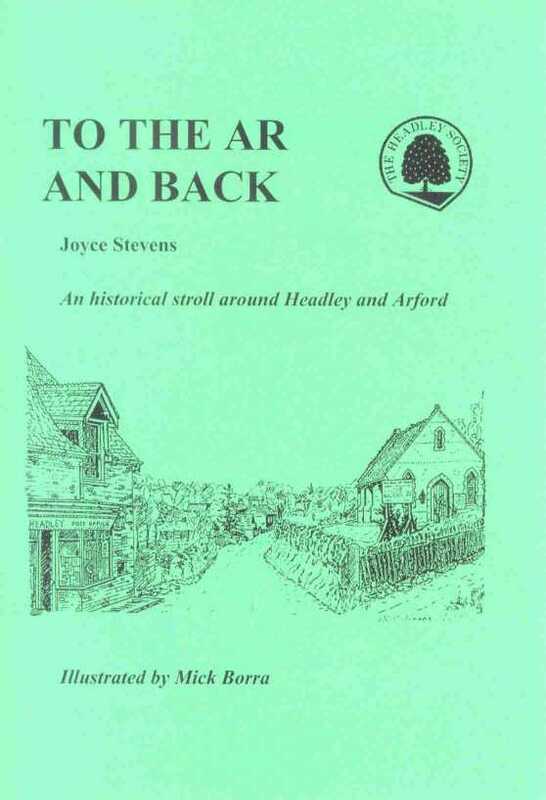 There have been so many changes in Headley and Arford since the Second World War that it seemed a good idea to record them while there are still people living who remember what used to be. We hope that this co-operative project by members of the Headley Society will give pleasure and be of interest to many people, both old and new residents and their visitors. The natural building materials of the district were timber, Bargate stone, bricks and clay tiles, so it is interesting to notice where a house has a slate roof, (e.g. The Old Rectory and Arford House). This may be a help in dating it too, when railways and canals were used to transport such a heavy material coming from a considerable distance. Look out also for examples of galleting in the mortar of the oldest houses. Pieces of ironstone were pressed into the soft mortar, some say just as decoration or to strengthen the structure, but others say that it was to ward off the devil. Gilbert White of Selborne mentions visitors to his village who asked why the houses were fastened together with "ten-penny nails". Notice too where there is evidence of a window being bricked up (e.g. The White House and Wakeford's). This was done to avoid paying the window tax, imposed in 1696 to raise money for a new coinage to replace the old unmilled silver coins, which during the course of many years had been clipped so often that they were only half their original weight. Parson Woodforde, who himself had to brick up 3 windows in 1784 called the tax "an impost laid upon the very light of heaven" and it was also described as "that old enemy of health and light". It was repealed in 1851, so again we have help in dating a house. There are examples of "Dentil Eaves" on several houses. These are rows of bricks laid diagonally, either just below the roof overhang or between two storeys, and looking rather like teeth. Some local builders called them "soldiers". With this information to help you, we invite you to "take a walk round the block" with eyes wide open, and in the space of 1 mile you will find evidence of 7 centuries of life in our village.